Office of Tourism (also previously known as Discover Prince William & Manassas or the county’s convention & visitors bureau) has developed a strategy—the Steins, Vines and Moonshine Trail—to draw visitors to Prince William. The trail is open to all craft breweries, wineries and distilleries in the greater Prince William region. 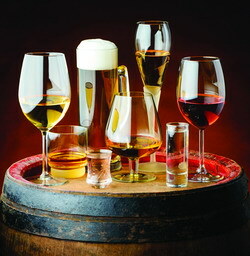 Today, the trail is composed of 13 breweries, two distilleries and four wineries/tasting rooms. Virginia has a long history of beer brewing beginning in 1607 when, according to the National Park Service, Jamestown colonists served beer at their first feast. George Washington also served beer and porter to guests at Mount Vernon. More recently, beginning in 1984, microbreweries—those that produce less than 15,000 barrels of beer per year with 75 percent or more of their beer sold off-site—started to spring up nationwide. According to the Brewers Association, by 2016, Virginia was home to 164 craft breweries, producing 257,645 barrels per year. He said Ornery stands out from the crowd by offering traditional ales and lagers that pair well with their chef-driven, scratch menu. And the experts must agree: Since opening, Ornery has won two medals at the Virginia Craft Beer Cup and was named the Best Kolsch Ale in America in 2016 at the Great American Beer Festival. Heritage Brewing Company opened in December 2013 and its beers are Americana-focused in a nod to American history and icons. Like Heritage, Brew Republic Bierwerks is a veteran-owned brewery. 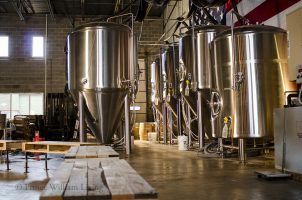 However, unlike most craft breweries that are located in converted industrial parks, Brew Republic has found a home in the upscale Stonebridge at Potomac Town Center. room and company store; The Black Sheep: whiskey + wine + noshery; and The YARD Beer & Sound Garden featuring The Pit Barbecue. Forrest Morgan, co-founder and head brewmaster of 2 Silos, said he has converted the 1929 dairy farm barn into a place where the complete beer cycle—from the agriculture to the brewing process—can be visible and revealing, reinforcing the path from farm to pint. According to the Virginia Wine Board, the commonwealth has a long history of producing quality wines, dating back to 1873 when a Virginia Norton wine was named the “best red wine of all nations” at the Vienna World’s Fair. But Prohibition struck in 1920, effectively shutting down the entire business. The Winery at Bull Run is one of four wine stops along the trail. 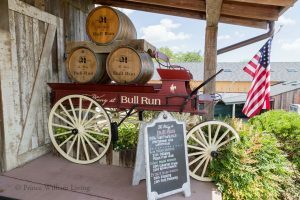 There are four wine stops along the trail: Aroma Wine Tasting, Effingham Manor Winery, the Winery at Bull Run and the Winery at LaGrange. Arthur Lampros, owner of WineStyles of Montclair, said during the past decade local wineries have pushed to create high-quality wines that can compete on a world stage. The new beverage trail, he said, could be the way to draw in new customers. The Winery at La Grange, situated on 20 acres in Haymarket, has set up their main tasting room in an 18th-century manor house. The winery is best known for its reds, including the Meritage, Cabernet Franc Reserve and Petit Manseng, and French-styled chardonnay whites. Effingham Manor Winery has a different strategy for drawing business to its Nokesville property. said he wants local students—from elementary through college— to visit and tour the historic property, the winery is intended for adults. Effingham offers chardonnay, Traminette, rosé, Norton, merlot, Meritage, sparkling wine and King’s Ransom Reserve for tastings and purchase. Although Virginia has deep roots in moonshine, distilleries have only recently begun to spring up in this region. Two distilleries— KO Distilling and MurLarkey—have joined the trail. KO Distilling was the first distillery to set up shop in Manassas since Prohibition ended in 1933, opening its doors to the public in September 2015 with two gins and a white (unaged) whiskey. Since that time, they’ve expanded the selection to include a barrel finished gin, an aged wheat whiskey, and an aged rye whiskey. The owners of the second distillery, MurLarkey Distilled Spirits, started laying the groundwork for their distillery in 2013 and then spent about three years raising capital and securing permits before opening their Bristow distillery in 2016.
distillery that honors their forefathers with nod to the cousins’ grandparents, Bill and Katie Kelly. Maher said her team and the tourism business partners are looking forward to unveiling the trail this fall. Marianne Weaver (mweaver@princewilliamliving.com) is a freelance editor and writer. She earned a BA from the University of Pittsburgh and an MJ from Temple University.